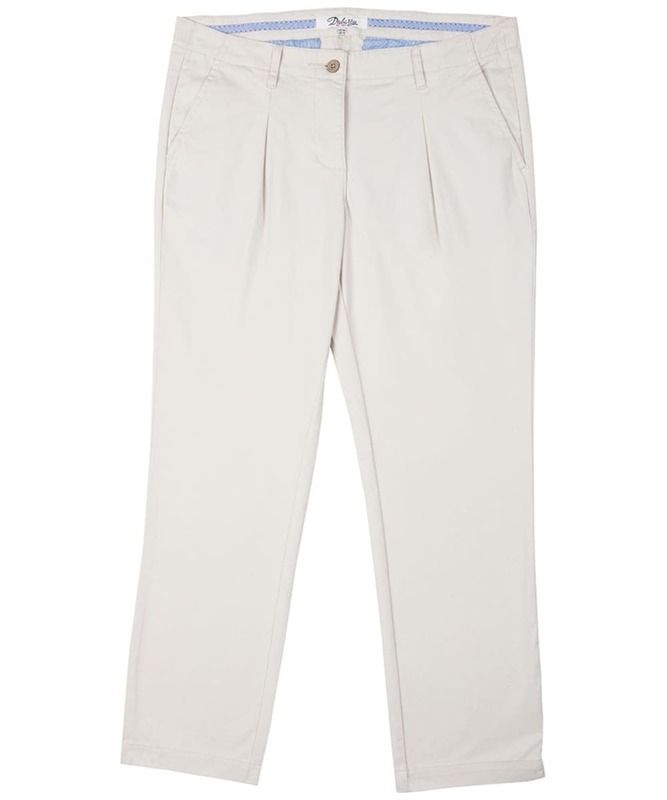 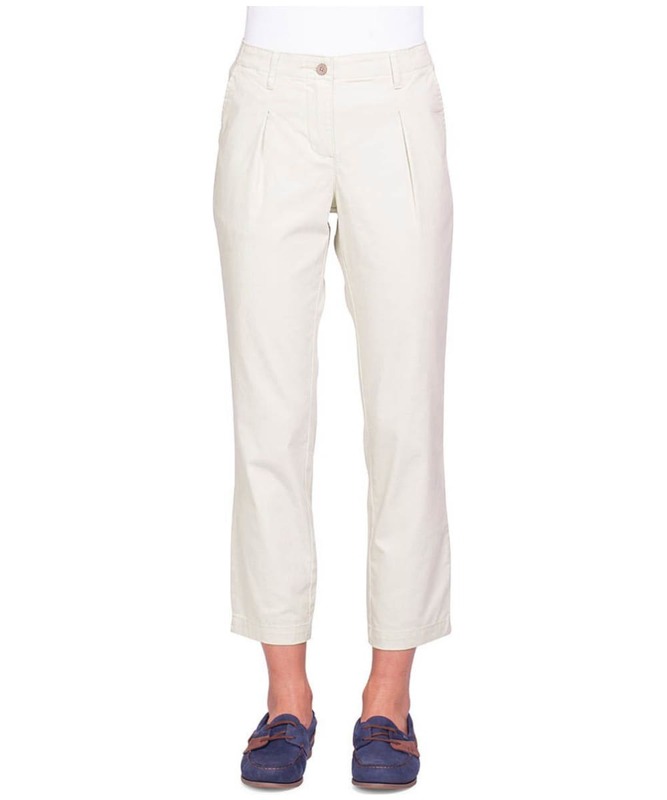 New for the spring, these versatile Dubarry Reed Capri Trousers are crafted from a lightweight and stretchy cotton sateen fabric, making them a comfortable design for everyday wear. 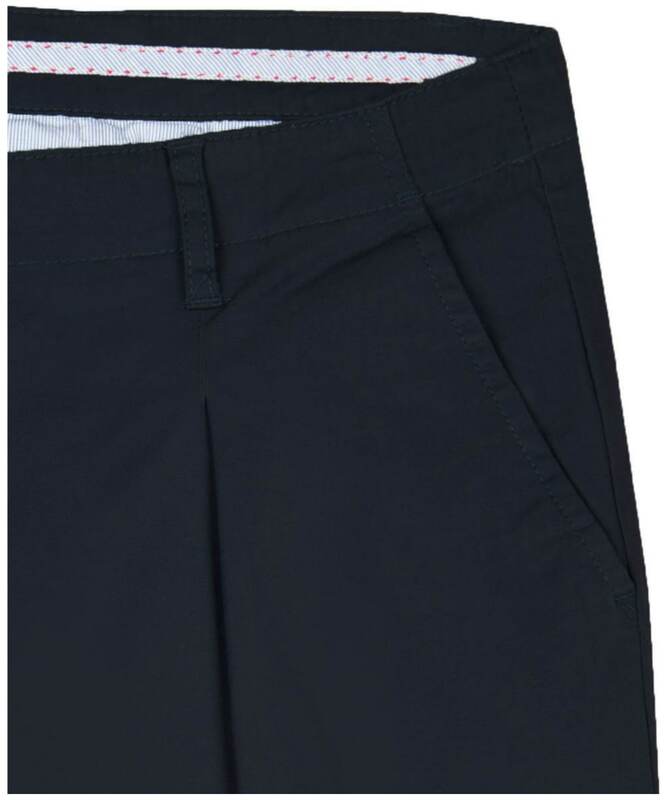 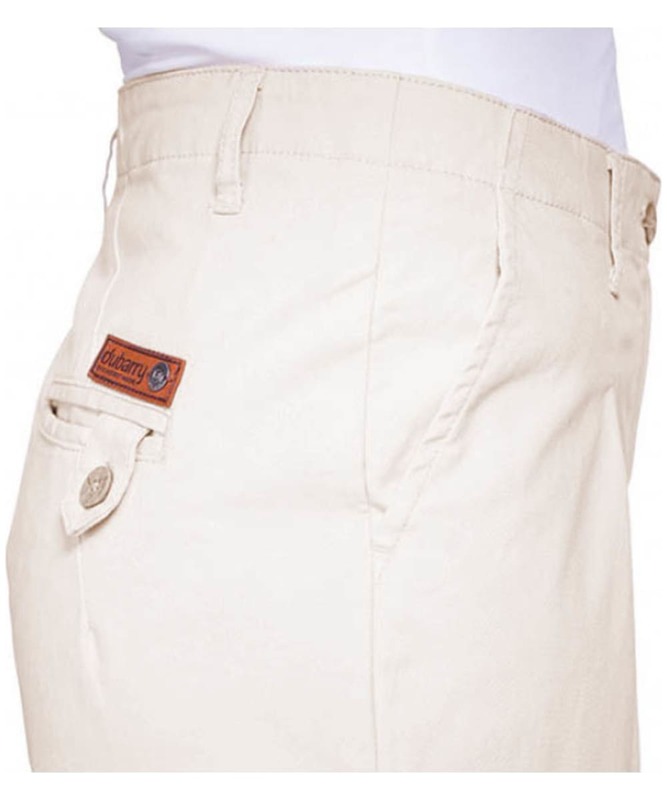 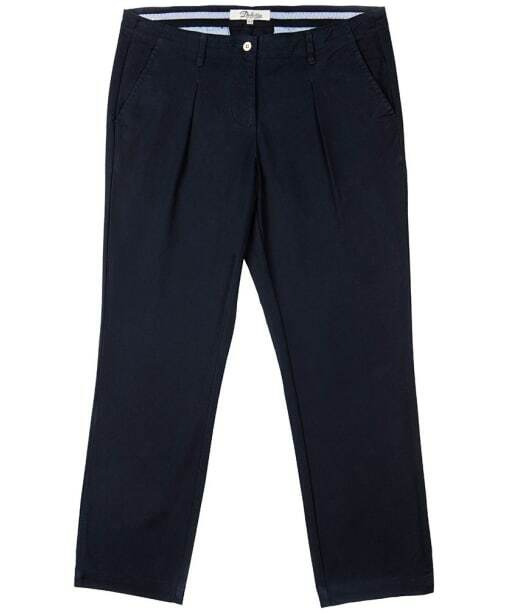 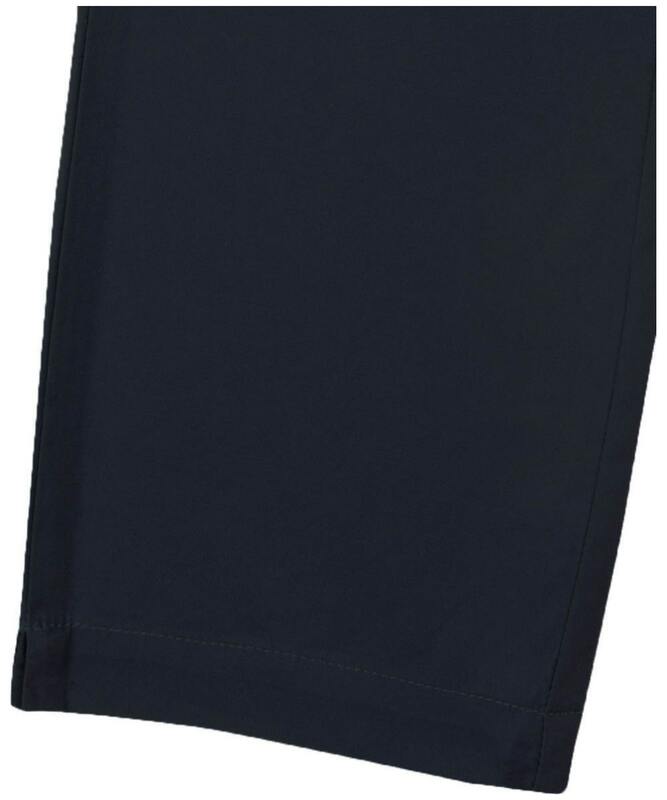 These stylish trousers feature a pleated design to the front, and pockets to the front and back, with the back right hand side pocket featuring a buttoned tab. 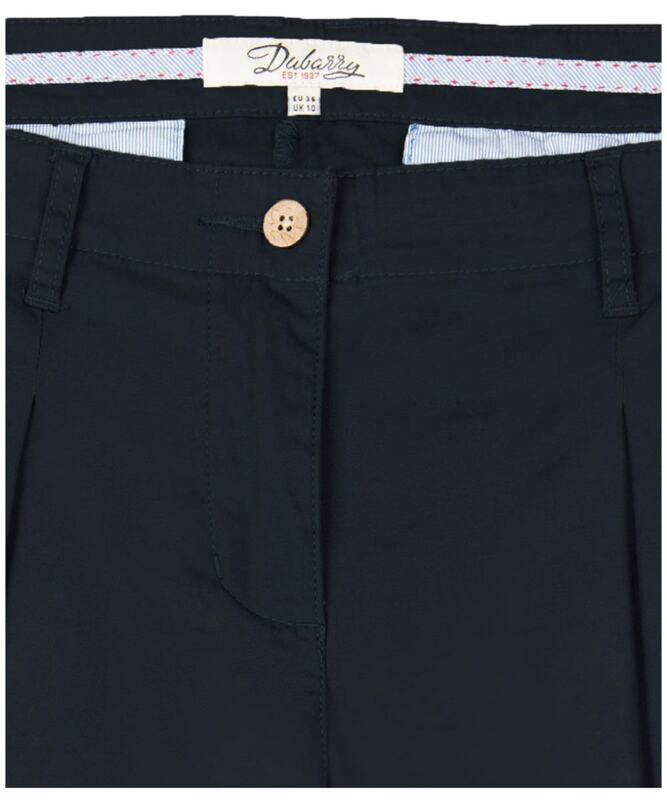 Belt loops allow for your favourite accessories to be added, and the zip fly and button closure gives a snug fit. 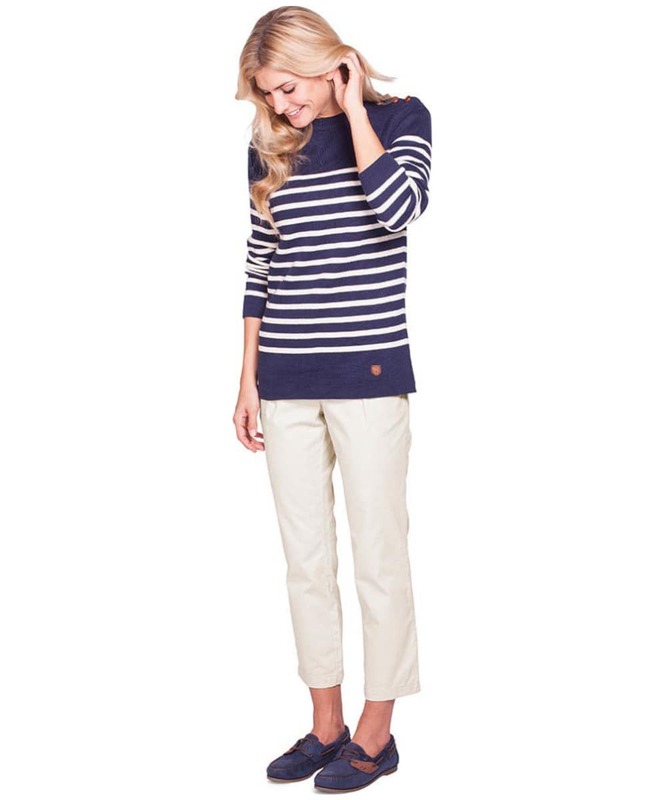 Wear with a simple white shirt and metallic sandals for effortless summer chic, or team with a lightweight sweater and deck shoes in between seasons.